I apologize to everyone who follows me on Pinterest or Tumblr. I'm susceptible to all the retail merchandising happening right now. My mind is being filled with Fall-related things. I'm longing for chilly weather, layered clothing, hot drinks, pumpkins, and red leaves. I know! Summer isn't over and it's only the middle of August, but the constant heat waves we've been having this year have me drowning in my own sweat and I desperately want to break out all my leggings and boots and buy all the Fall-scented candles. Do you have the Fall itch yet? Or is it just me? SAME. I spent the last week buying Halloween decorations and other fall delights<3 I've already sprung on some pumpkin flavored things (I actually danced in the grocery store yesterday when I saw that pumpkin spice Hershey kisses and back in season), I have Yankee Candle's Halloween event written in my planner and I've switched from drinking iced tea to hot chai tea. I've also already bought several scarves and I keep looking for boots. 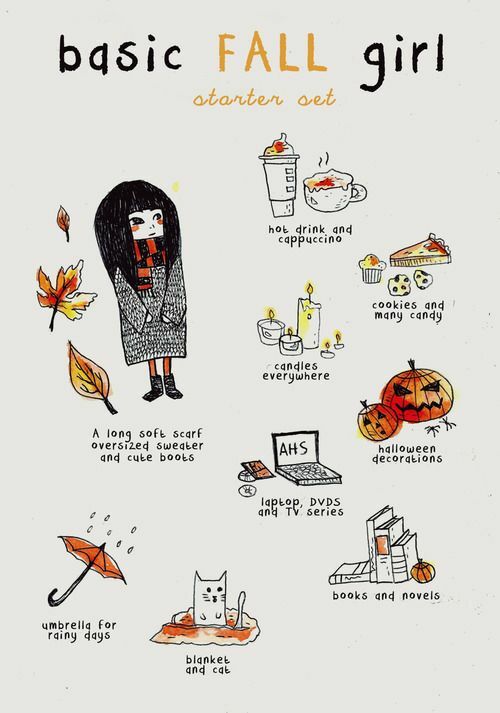 I AM SO READY FOR FALL. I'm the same right now! In the last few days of July I found myself just looking around for pumpkin pies and wanting to go buy some new comfy flannels. I'm so ready!